The Big Green Egg delivers unparalleled flexibility of use...perfectly prepare anything from a grilled steak to a tender brisket or turkey to a freshly baked loaf of bread. Vegetables, corn, potatoes, mushrooms, onions, even pies and desserts are superb. You can literally cook an entire meal at once! The Egg is the most versatile cooking devise ever, it’s a grill, smoker, and oven all in one. 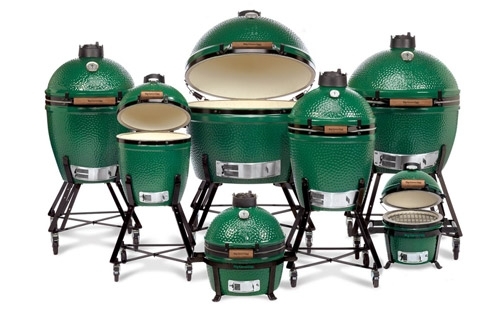 We are your Big Green Egg Dealer in Americus! Click the logo below to learn more about Big Green Egg!